AmazonBasics Mattress Review - Does The Comfort Match Convenience? Amazon is a popular online go-to for its home goods, sports equipment, books, and well—just about everything. 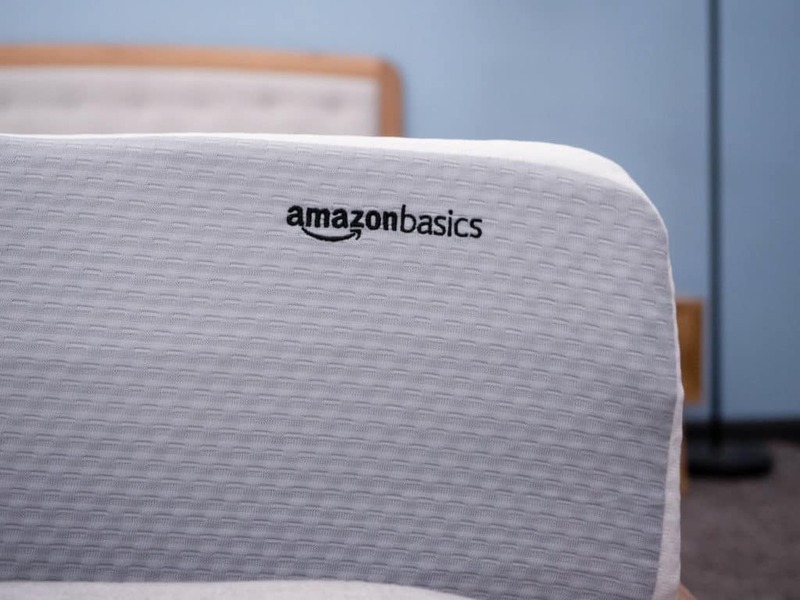 AmazonBasics, the company’s home line, offers a wide range of items at relatively low cost points making it into one of the biggest superstores in the game. And its latest item? The new AmazonBasics mattress, an all-foam model advertised as providing a luxurious feel at an affordable price. But is this actually true? Amazon may be one of the most well-known companies on the planet, but I won’t know if its new bed is worth the hype until I test it out for myself. So, let’s jump in and see what this bed’s all about! You have a question? We have an answer. Comment with your questions below. Click here to skip to the bottom and check out my review summary. A streamlined, all-foam construction makes this affordable mattress a great pick for sleepers on a budget! 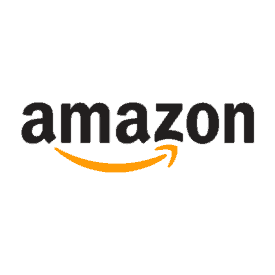 AmazonBasics is Amazon’s home line and is known for reasonably-priced household supplies, electronics, and sporting goods. The AmazonBasics mattress is the first direct-to-consumer mattress in the brand’s collection. While the bed is making a splash for its low cost point, it’s far from the only value mattress on the market. Other affordable mattresses include the Lucid and Tuft & Needle, two all-foam beds that give the AmazonBasics a run for its money. We’ll compare all three mattresses side-by-side later on, but before we can do that, we need to figure out what’s going on in the AmazonBasics mattress. For starters, the AmazonBasics mattress comes in three different profile heights (8”, 10”, and 12”). For the purpose of this review, we’ll be looking at the 10” model. The all-foam layers work together to provide a soft, supportive feel from head-to-toe. While the construction might seem a little simplistic, the brand says this combination of materials helps align the spine and regulate airflow throughout the night. To see how this all comes together, let’s tuck ourselves in! Cover – The cover is made of a polyester blend that’s stretchy, thin, and quick-drying. It’s also quite breathable, which will help with cooling throughout the mattress. Comfort Layer – The comfort layer of the AmazonBasics mattress is made of memory foam, a material that is adaptive and body-contouring. 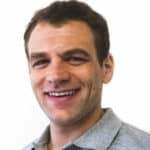 As I expected, the memory foam did contour to my body, but I experienced a much quicker response to pressure here than I have with some other memory foam mattresses, which allowed me to move around with relative ease. 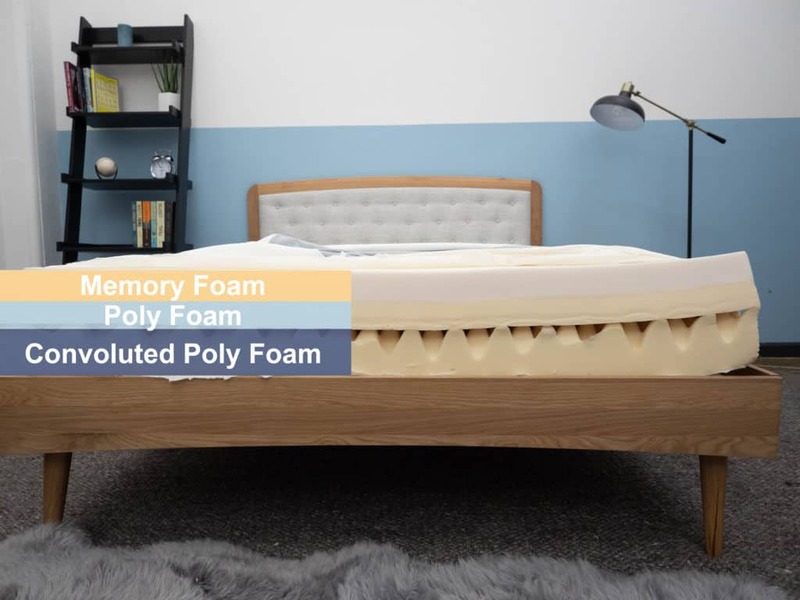 Transition Layer – The second section is a polyfoam layer that contains a series of holes meant to help circulate airflow throughout the mattress. Memory foam has a reputation for trapping body heat, so this aerated polyfoam layer could provide some pleasant relief. Together, the layers seem to strike a pleasant balance that provide a cooling feeling throughout the night. Foundation Layer – While the egg-create design of the base layer is meant to help with airflow throughout the structure, I actually found that it took away some of the mattress’ support. I felt like the convoluted design made way for more sinkage, which could be an important thing for heavier sleepers to take note of. Speaking of body and shape, let’s jump into how yours might interact with this mattress. When I first got onto the bed, I noticed that it was soft and easy to toss around on. The first layer immediately hugged my body and the foam filled the space between my shoulders and lower back. However, I did feel myself sinking deeply into the mattress, which is good to keep in mind if you prefer sleeping “on” your mattress as opposed to “in” it. I decided to have three other folks join me in testing out the AmazonBasics mattress since different body types and sizes are going to experience firmness differently. We took turns lying on the mattress and offered our personal ratings, which we’ve included on the graph below. Our reactions are based heavily on our own sleeping experiences, but they’re a great reference point for the bed’s firmness and range. 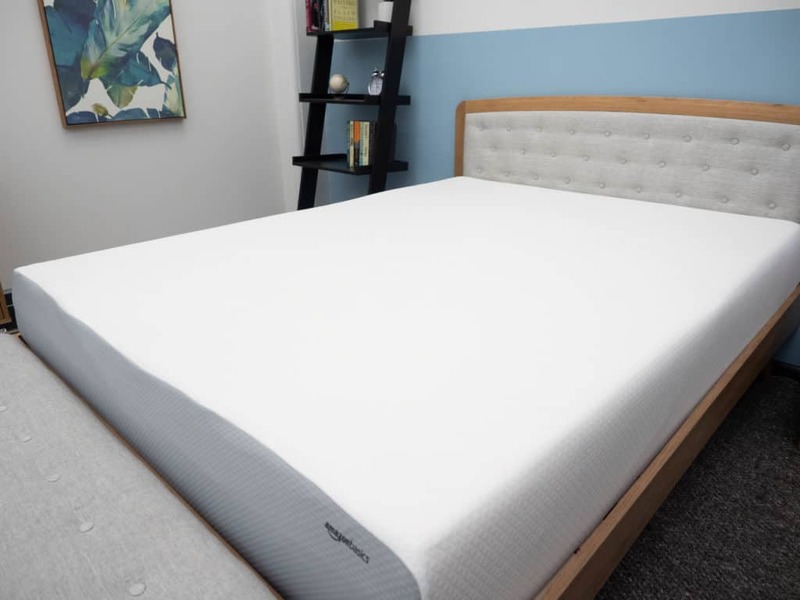 Together, we gave the AmazonBasics mattress a 5 out of 10 on the firmness scale, marking it as a relatively soft mattress (as compared to the industry standard of 6.5 for medium firmness). The combination of foams gave the mattress an overall gentle feel. We also found that the top layer provided a push-back feel that isn’t typical of many memory foam mattresses. I personally gave this bed a 5 since its softness was the first thing I noticed. 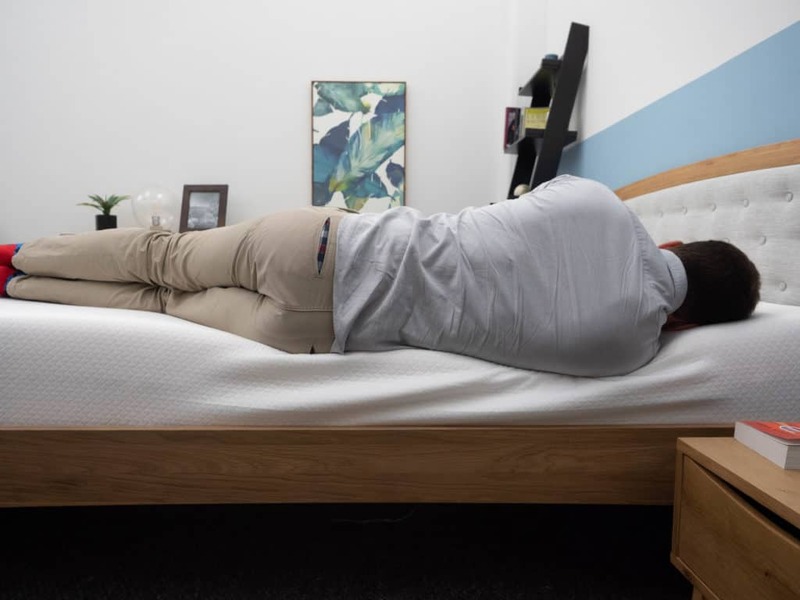 The AmazonBasics mattress felt comfortably plush when I first hopped into it, but I felt less and less supported the more I sank into its layers. I was, however, surprised by how easy it felt to switch positions in spite of this deep sinkage. That being said, I’m about 5’10”, 190 lbs., so heavier individuals may find that as they quickly sink through the layers, they’ll feel more “stuck” in the bed than I did. A mattress’ pressure is another important component of the way a new bed will feel. 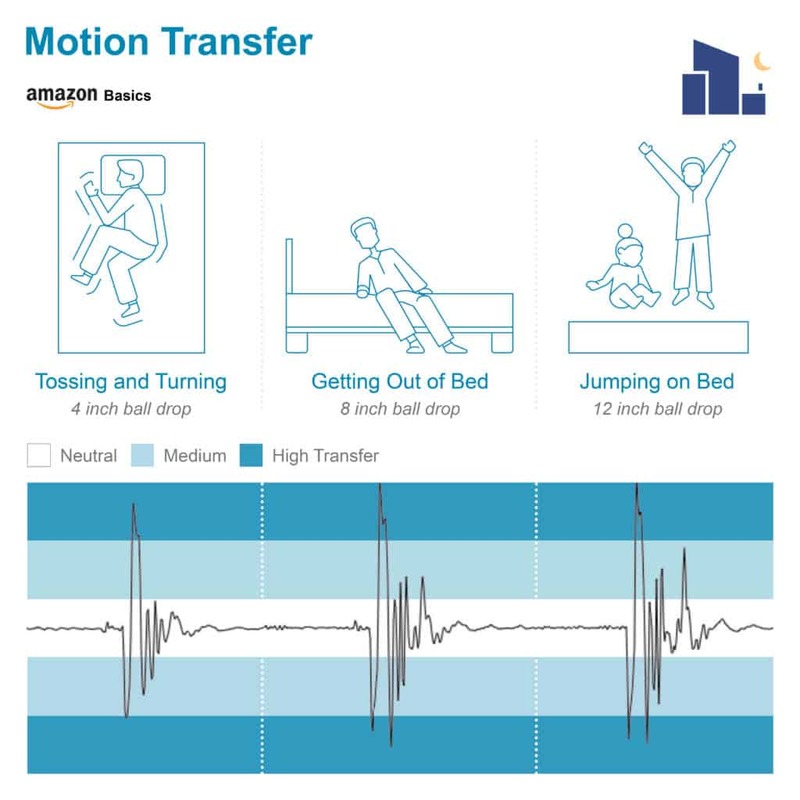 To demonstrate where pressure points are likely to form on the AmazonBasics mattress, I placed a pressure map on top of the mattress and lied on my back, side, and stomach. Low pressure is represented in blue and high pressure in red, which you’ll find in our results on the image below. 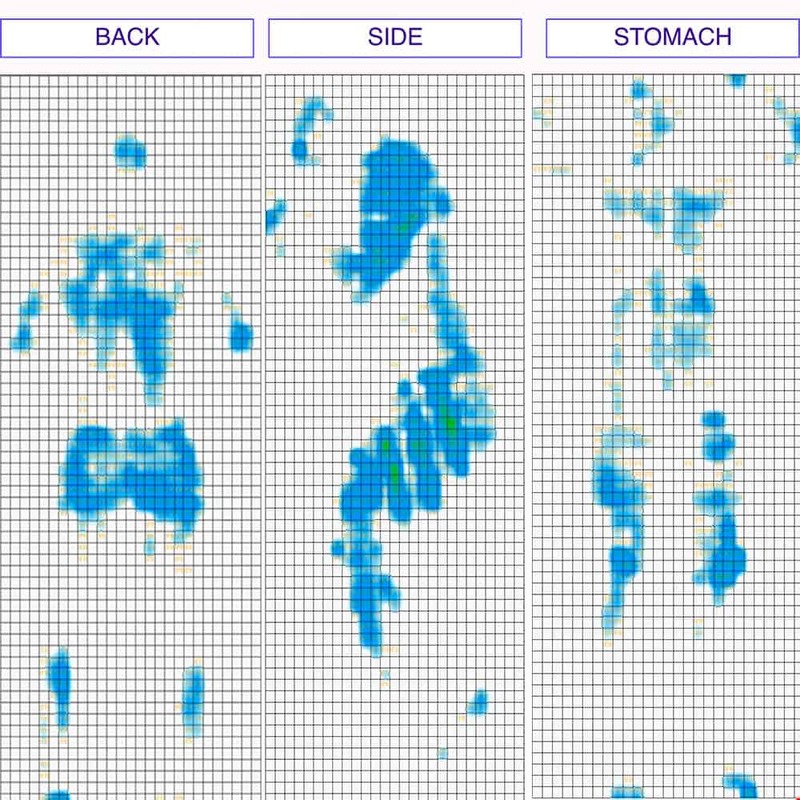 Back – My weight was pretty evenly distributed as I lied on my back, resulting in a lot of blue across the board. I didn’t feel any specific pressure points forming, though I did feel like I was sinking into the bed here. However, the bed has a quicker response to pressure than I would normally expect from a memory foam mattress, which made it fairly easy to move around. 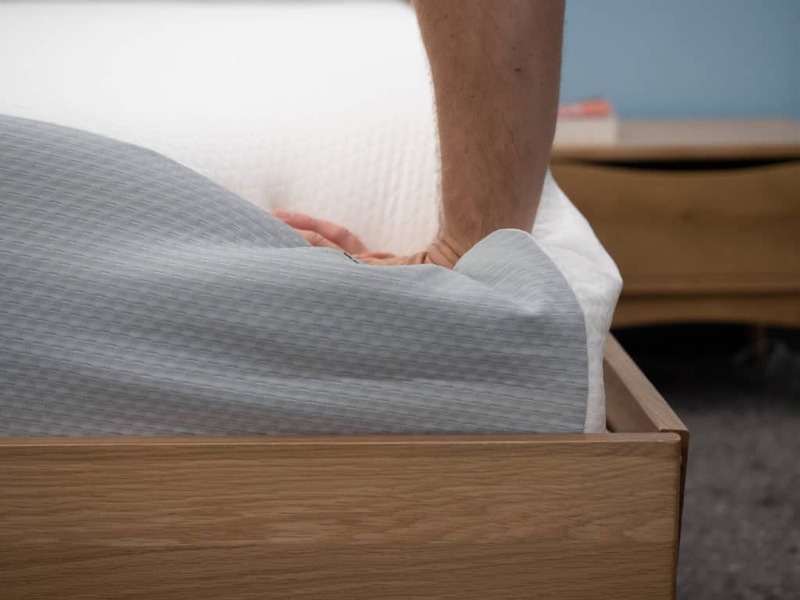 Edge Support – A bed’s edge support can be an important factor for couples to consider because it indicates how far to the side of the mattress you can sleep. I felt like I was rolling out of the bed when I turned onto the edge, so if you’re sleeping with a partner, this mattress may not be the best choice. Side – When I switched onto my side, I felt pressure at my shoulders, though not enough to spike into the red zone. The deep sinkage did, however, cause me to interact almost entirely with the bed’s firm base layer. Side sleepers usually prefer softer mattresses for the pressure-relieving contouring they provide at the shoulders and hips, so I was a little disappointed with the lack of support I experienced on this bed. Stomach – I felt like my hips were sinking into the mattress when I laid on my stomach, which made this position a bit uncomfortable. Strict stomach sleepers may find that this feel doesn’t work for them as they tend to favor firmer mattresses that keep their spines in an even alignment. 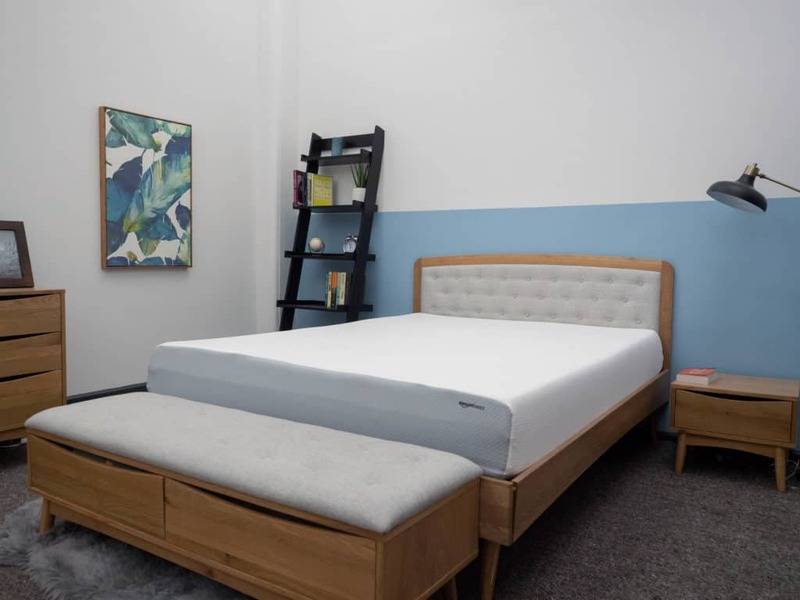 Now that you have a sense of how you might interact with this mattress, let’s compare it side-by-side with two of its biggest competitors on the market: Lucid and Tuft & Needle. All three mattresses are value all-foam buys, so honing in on their differences can help determine which will fit your sleeping needs best. Let’s start with the 10” Lucid mattress. Its gel and polyfoam layers work together to provide excellent support with a medium-firm feel. Lucid’s top layer of cooling gel did a better job of regulating body temperature than the memory foam of the AmazonBasics mattress. 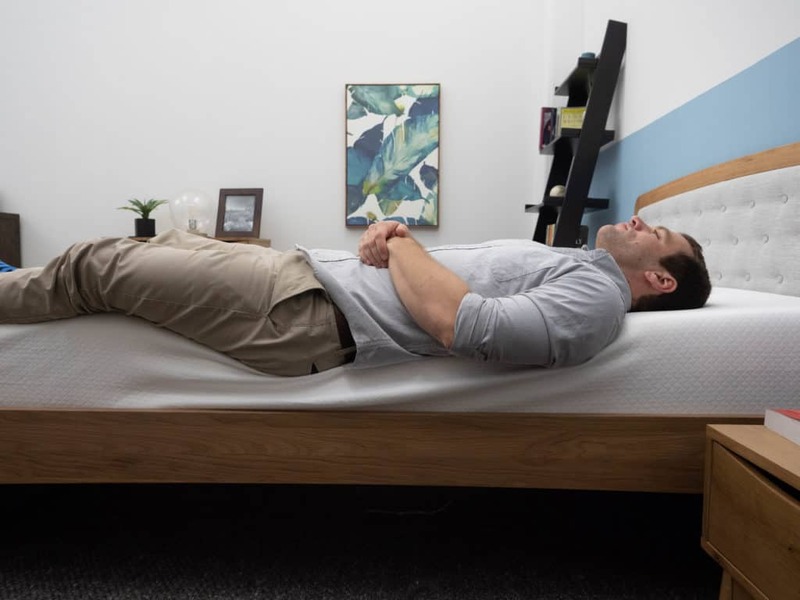 The Lucid mattress is also a lot firmer than the AmazonBasics mattress, which makes for an overall more supportive vibe. 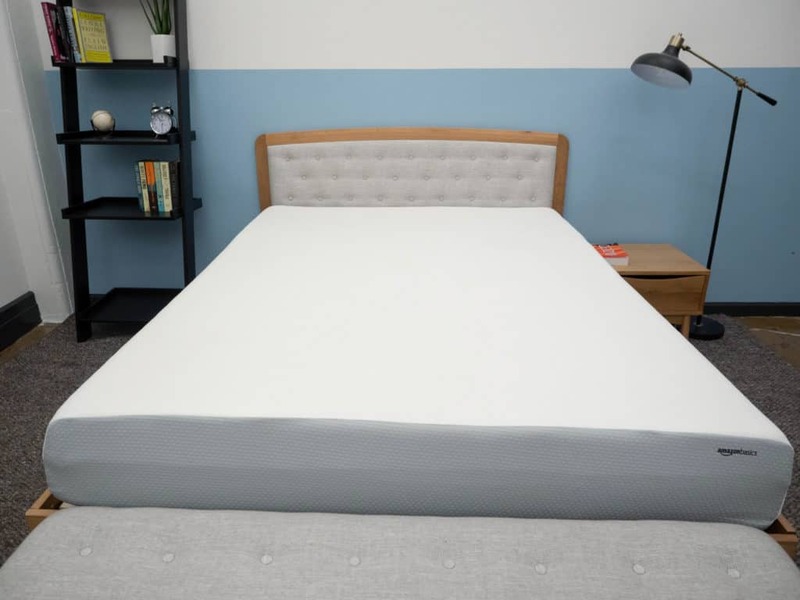 In contrast to the AmazonBasics mattress, the Lucid mattress includes a special layer of edge support that maximizes the usable surface area of the bed. The Tuft & Needle’s straightforward construction contains just two layers of foam to provide a gentle, pressure-relieving feel. Tuft & Needle’s responsive poly foam layers make it a better fit for combo sleepers, who will likely benefit from its bouncy support. 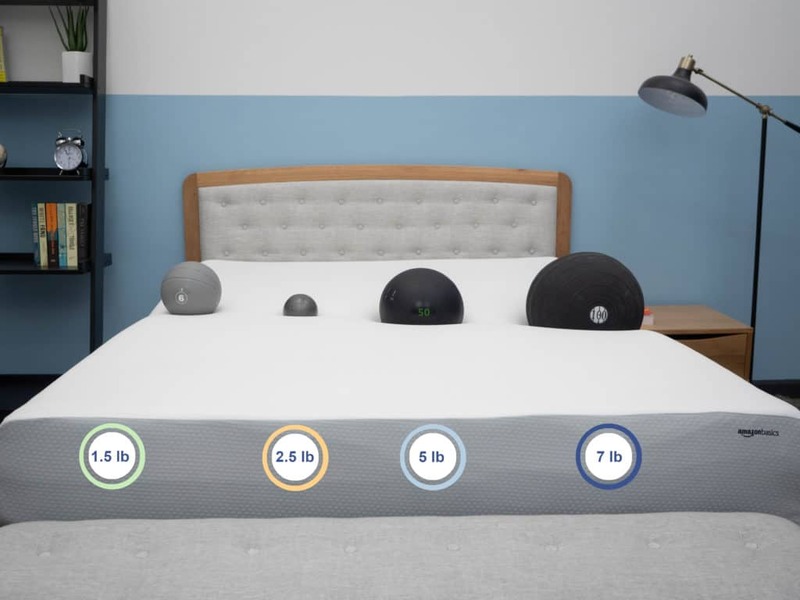 This mattress also costs a bit more than the AmazonBasics ($595 vs. $230 for a Queen), but is still on the low end when compared to other big names like Nectar and Casper. 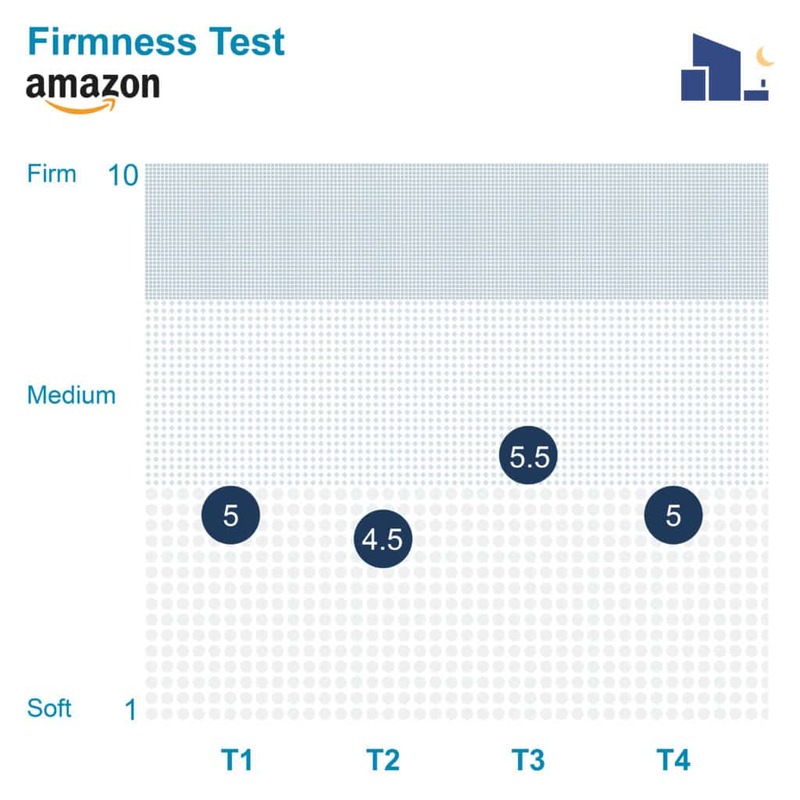 The Tuft & Needle mattress averages at a 7/10 on the firmness scale, offering more firmness than the AmazonBasics mattress. If you share your bed with a partner, you’ll want to pay extra close attention to this section. The motion transfer test will demonstrate the amount of disturbance detectable from one side of the bed to the other. The results were pretty average across the board, but the top layer of memory foam does do a fairly good job of dampening motion transfer. While lighter sleepers may be awoken by a partner rolling around or a pet jumping into bed, deeper sleepers shouldn’t be too disturbed by these movements. Sinkage test results for the AmazonBasics mattress. Each ball simulates a different part of the body. 6 lb medicine ball: 1.5 inch of sinkage. The inches of sinkage were significantly above average, overall. Seven inches is a lot compared to other mattresses I’ve reviewed, so you’ll probably feel as though you’re sleeping more “in” the bed than “on” it. This could be especially true for heavier sleepers who are more likely to push right through this mattress. Trial: Amazon’s Return Policy – Return most new, unopened items within 30 days of your purchase for a full refund. Items shipped between November 1st and December 31st can be returned until January 31st. Shipping: Qualifies for Amazon’s free shipping. Arrives compressed. If you’re convinced the AmazonBasics is the right mattress for you, the size and pricing information for the mattress are below. Please note that these prices reflect standard pricing. IS THE AMAZONBASICS MATTRESS RIGHT FOR YOU? This mattress could be excellent for lighter individuals and children as they’re not likely to sink all the way to the base of the bed. If you just need a cost-effective mattress in a hurry, this could be a convenient choice. The AmazonBasics mattress may also a great value option for temporary guests and guest bedrooms because it gets the job done without breaking the bank. 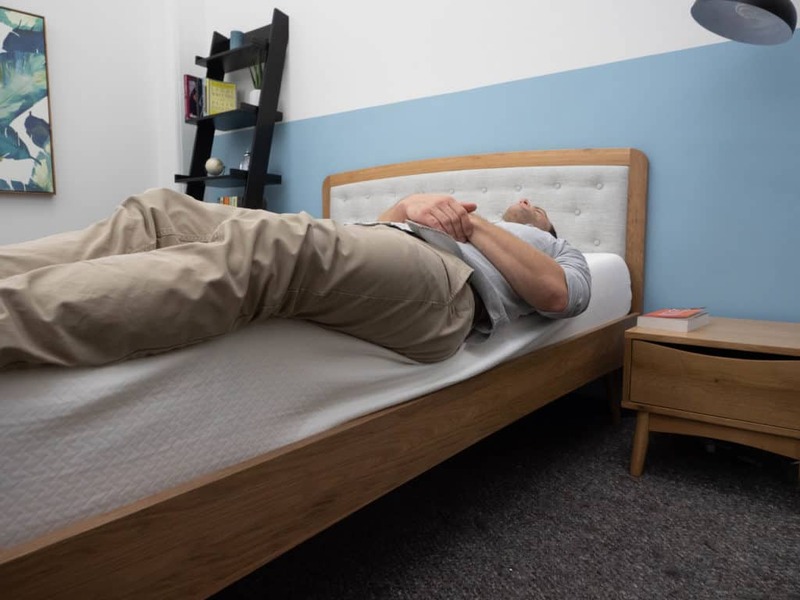 I was concerned with the bed’s overall lack of support, so this may not be the best choice for heavier sleepers or those who doze primarily on their stomachs. If you’re sharing the bed with a partner, its lack of edge support could also be a woe to consider. For more information on the AmazonBasics mattress, visit the website here!